Sometimes I get so focused on getting the perfect photo of something like the birthday girl with her face smeared with cake (come on, that’s classic) that I forget it might be nice to take a photo of the cake before it gets smashed into oblivion. Noticing details and capturing them gives your work variety. It also provides a record that’s pretty unbeatable. 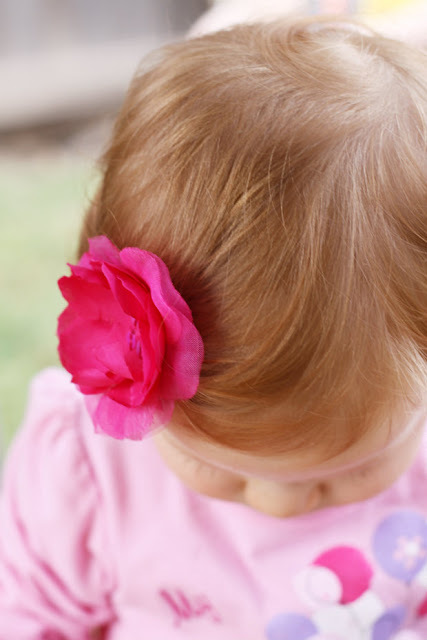 For example, someday when the kid in the photo is grown up, she would know that her first birthday cake had orange flowers on it or that she wore purple shoes. On that note, I think shoes and feet make marvelous subjects for photos. 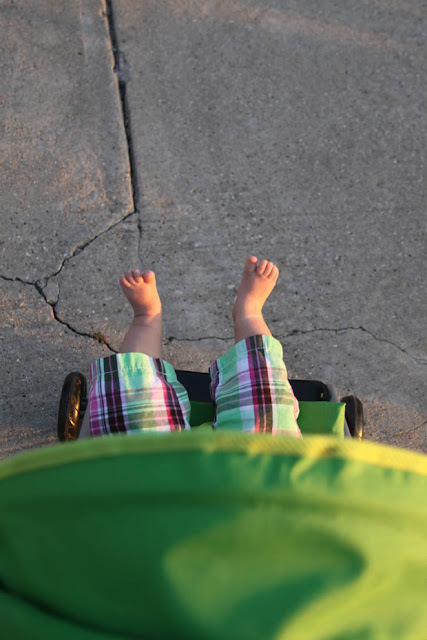 When we were taking a walk recently, I noticed how cute my baby’s little feet looked poking out of her green stroller. I love the resulting image. So go ahead and let people wonder what you’re taking a picture of THAT for (I’ve taken some of my favorites while people asked me that very question). You know, and that’s all that matters.